Situated along the New York border lies the picturesque town of New Canaan, where hilly terrain and lush woodlands create an atmosphere of scenic beauty and tranquility. Conveniently situated one hour from Manhattan, the town reflects quintessential New England with its gracious homes, expansive parks, meandering stone walls and pristine ponds. New Canaan also boasts excellent public and private school systems, with its public schools ranking No. 2 in the nation by Forbes Magazine in 2011, and the town offers many opportunities for community involvement as well. The New Canaan brokerage provides global real estate connections and resources combined with local market expertise on New Canaan, in addition to the surrounding lower Fairfield County communities of Darien, Wilton, Stamford and Norwalk. We offer real estate services for clients interested in buying or selling a spectrum of distinctive homes at a range of prices. Our agents exceed our clients’ expectations for outstanding customer service, superior business ethics, incomparable global marketing and in-depth real estate knowledge. We welcome the opportunity to accommodate any real estate needs. 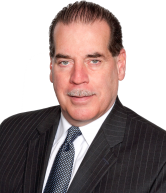 The New Canaan office has given us expert advice that we have found extremely beneficial. They have proved to us that they are not out here for the quickest sale, but they are here because they want to put the right people in the right homes, and most importantly, at the right price.